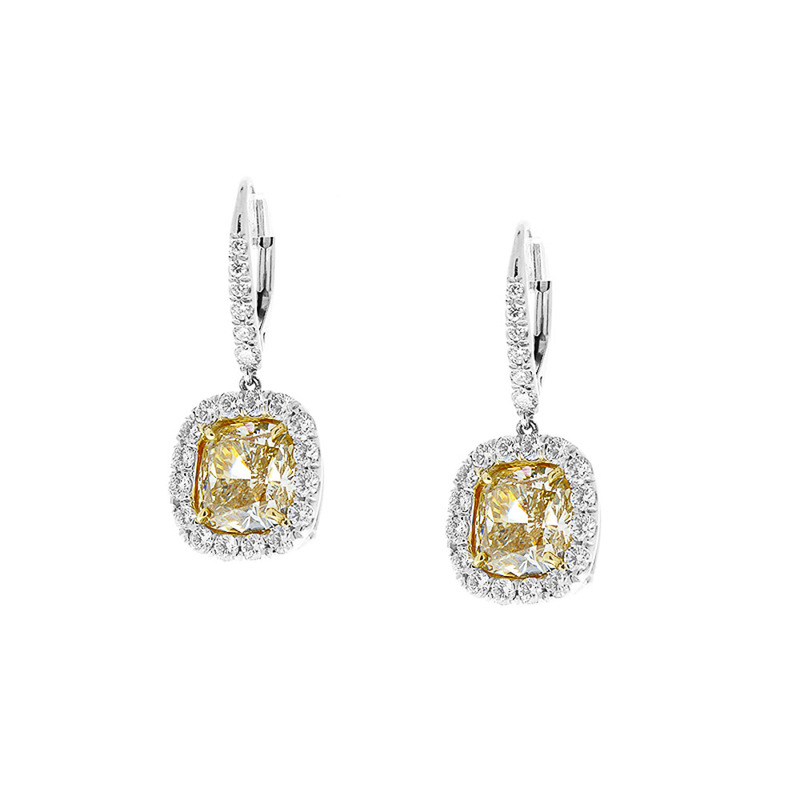 These natural fancy yellow diamond earrings are stunning. 6.12 total carats of perfectly matched yellow diamond cushion cuts are the investment. The color is lemon yellow; luster is excellen; clarity is SI1-SI2. Framed in the sparkle of 1.13 carats of brilliant rounds, F-G color, VS1-VS2 clarity, brings even more color out of these EGLUSA certified platinum earrings.